1. Before making an offer, determine whether your financial plan will meet with The Doric's financial guidelines. Please fill out the financial worksheet, and determine if your total gross monthly expenses are within the 40% guideline. Also, you must have cash available after closing to cover six months expenses. 2. Fill out an "Offer to Purchase" form. Enclose a "good faith deposit" check in the amount of $1,000, payable to "Hudson View Realty Escrow Account." 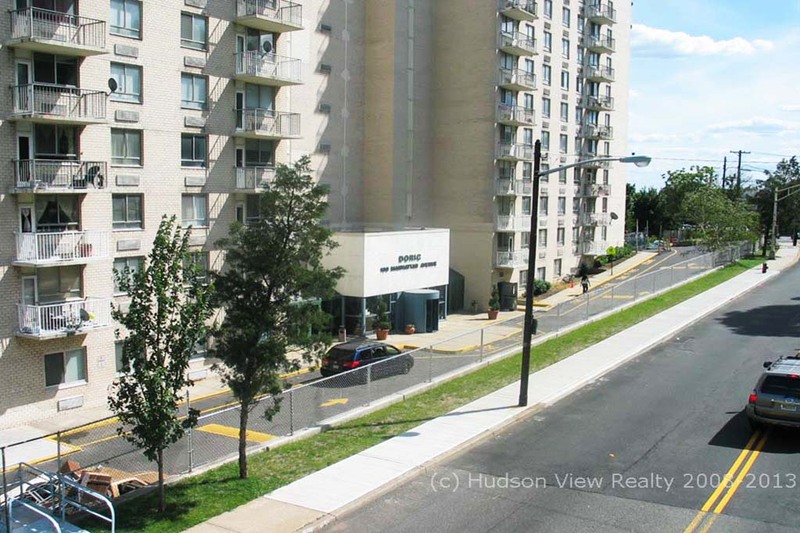 Deliver immediately to Hudson View Realty, c/o Paula Brown, 380 Mountain Rd., Union City, NJ 07087. 3. Ask for a copy of the sample Doric Apartment Corp. Purchase Application Form. Online application instructions will be provided once you have a binding contract of sale and loan commitment. 4. Once your offer is accepted, you should hire an experienced real estate attorney immediately. The seller's attorney will provide to your attorney a contract of sale. When your attorney has reviewed and approved the contract, you sign it, and either your attorney or Hudson View Realty forwards it to the seller or the seller's attorney for counter-signature. 5. When you sign the contract, your "contract deposit" (customarily, 10%, less good faith deposit) is also immediately due. This is generally held in the seller's attorney's trust (escrow) account until closing, and is credited towards your purchase at closing. 6. Title search and mortgage commitment letter (if applicable) are required before the final Board application package can be delivered to The Doric. You should apply for a loan commitment immediately upon counter-signature of your contract. Please note: The Doric Board requires up to 30 days to review and approve your application. To minimize the possibility of delay and/or rejection for incompleteness, Hudson View Realty will first review all documentation and forward to The Doric by their deadline. 7. You will be contacted directly by The Doric to schedule your appointment to interview with the coop Admissions Comittee. Interviews take place on the first and third Wednesday of each month. Applications must be received ten days prior to each scheduled interview date. 8. Allow up to one full week to get official approval. 9. Upon notification of approval, immediately contact your attorney to start scheduling the closing with the other attorneys and bank(s) involved. Allow one to two additional full weeks to close.